Ever since the Appeal Court delivered its opinion in Helen Alexander v Procurator Fiscal, Edinburgh (2016) HCJAC 3, the Crown has sought to prosecute drivers who fall asleep at the wheel under the dangerous driving provisions contained in s.2 of the Road Traffic Act 1988. The case makes a specific finding that “the act of falling asleep, in the absence of special circumstances, is a voluntary act and, when it occurs in the context of driving, will usually be regarded as dangerous”. Prior to that case, the Crown routinely accepted that falling asleep at the wheel was within the ambit of the lesser charge of careless driving so what has changed? It makes sense to say that a driver who falls asleep is no longer acting on a voluntary basis; he lacks consciousness and the law, quite properly, recognises that involuntary actions cannot form the basis for a conviction. The dangerous driving occurs essentially because a driver has allowed himself to fall asleep as the court is entitled to infer that, prior to falling asleep, he was aware of doing so and ignored the obvious dangers by continuing to drive in such a fatigued condition. The court will recognise that there may be special circumstances which make falling asleep involuntary. The Alexander case specifically recognised conditions such as sleep apnoea, narcolepsy or a hypoglycaemic episode. A driver who is aware that he suffers from such a condition which makes him liable to fall asleep will however be precluded from relying upon that condition as a defence; if a driver can foresee that he may fall asleep, then it is no longer a special circumstance which can be relied upon by an accused. The Crown often advance the position that, in the absence of any unforeseen medical condition, the act of falling asleep at the wheel meets the test for dangerous driving. This is a simplistic view and a convenient assumption which fails to recognise the fact that each case will turn on its own facts and circumstances. The Alexander case which the Crown seek to pray in aid involved an accused who was described as “lethargic and lacking energy as a result of menopausal symptoms”. As a community staff nurse, we can also perhaps draw some inferences in relation to her stress levels. The point in this case which appears to be repeatedly missed by the Crown is that the accused continued to drive in defiance of significant symptoms of fatigue and, quite simply, was in no fit state to be driving at that time. The court should look at all the facts and circumstances and have an open mind to the possibility that a driver may have no warning of the onset of sleep as recognised in the High Court of Australia in Jiminez v The Queen (1192) 173 CLR 572. The reasoning in this case was quite properly discounted in Alexander specifically because the court could exclude that possibility on the evidence about the accused’s fatigued condition. The Jiminez case makes interesting reading and presents a more balanced view of the factors which should be taken into account in this type of case. A driver who has taken all reasonable precautions to guard against fatigue and simply fallen into a micro-sleep or ‘zoned out’ momentarily may reasonably argue that this conduct does not constitute dangerous driving. Can The Crown Prove The Driver Was Asleep? This may sound curious however the Crown has to prove that the driver fell asleep as this forms an essential part of the charge. It could also be argued that, as a facta probanda, the Crown require to adduce corroborative evidence of sleep. The most common source of evidence the Crown seek to rely upon can be admissions or comments made at the time by an accused. Careful consideration needs to be given to whether any such admissions have been fairly obtained. We successfully objected to comments allegedly made by our client when he was returning home from a long shift as a casualty doctor in the A & E department on the basis that no caution had been issued by the Police. Our objection was upheld at an evidential hearing which in turn led to the collapse of the case. This case involved a prosecution under s.1A of the Road Traffic Act 1988 as serious injuries had been sustained as a result of the collision. 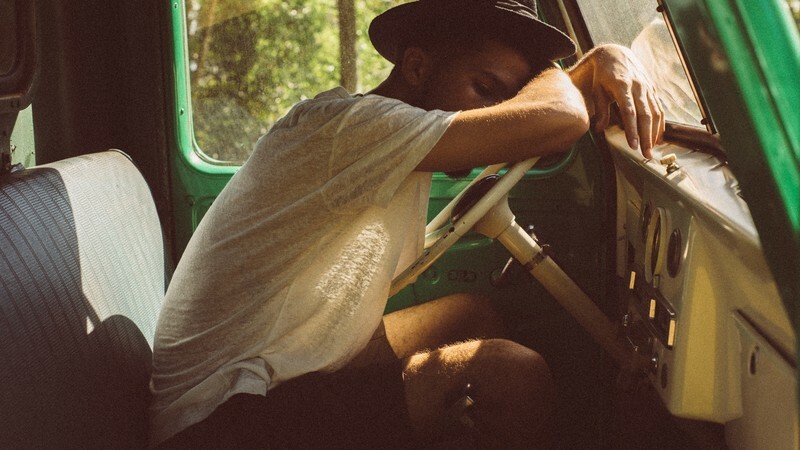 Falling asleep at the wheel can indeed lead to conviction under s.2 of the Road Traffic Act 1988 so the careful lawyer should have a detailed understanding of what the driver had done leading up to the incident. This can be done in many ways, e.g. production of tachographs for HGV drivers, but the focus should on trying to demonstrate that the driver did not continue to drive in defiance of the symptoms of fatigue. What a driver has done throughout the day and leading up to the incident should be lead in evidence with sufficient vouching where appropriate. If you have sought advice from one of the many self-proclaimed road traffic gurus out there about a similar case, you may wish to give our office a call rather than sleepwalk into a conviction which could perhaps be avoided with some skilled lawyering.